There is nothing more flattering and rewarding to a designer than when a special customer makes a request for you to create something customized to their specifications. 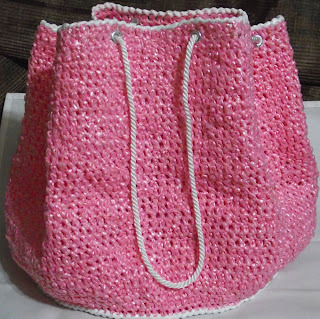 Well, my special customer is Pat from Gainesville, FL who recently asked me to design a 12 x 12 round pink tote using a tight stitch and drawstring handle. 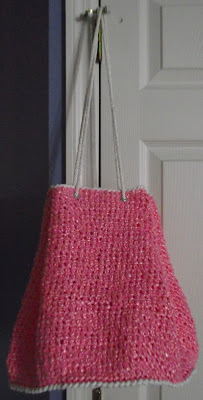 Of course, it would have been so easy to make this bag using only the single crochet stitch. I just couldn't do that. 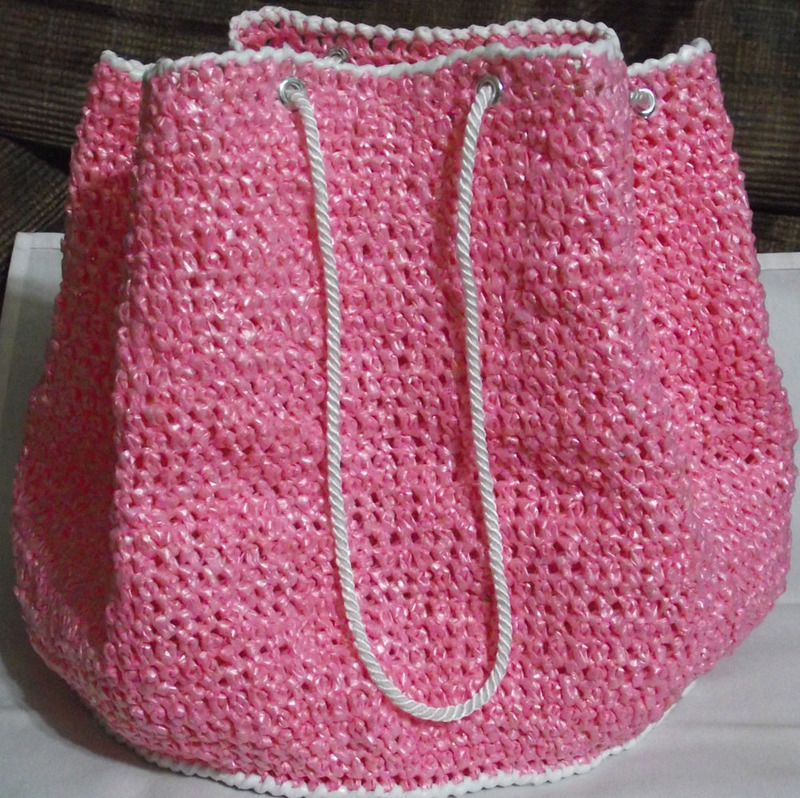 A special customer deserves a special stitch which is why I chose to make this bag using the extended single crochet stitch. 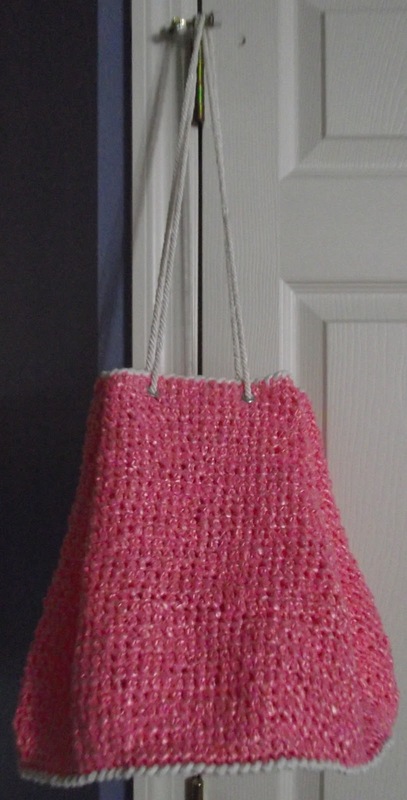 The extended single crochet offers a unique texture while maintaining an attractive appearance. And of course, durability and strength is a definite must. The base and bag is made with over 130 pink plastic bags. 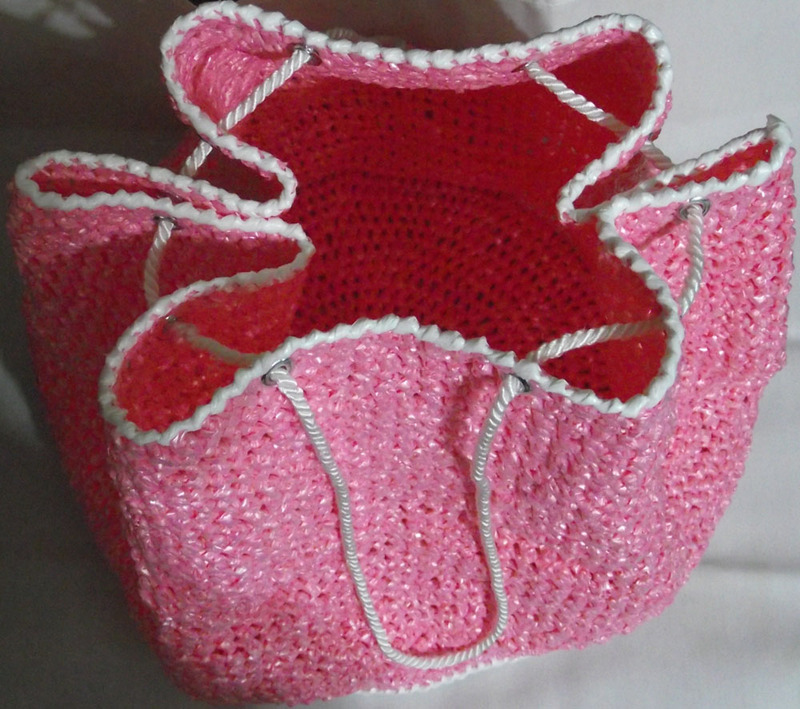 The top and bottom was edged with white plastic yarn using the reverse single crochet stitch.